Jeffrey Yellin is a New York licensed physical therapist at Professional Physical Therapy. After graduating from SUNY Binghamton with a bachelor’s in Psychology, Jeffrey went on to receive his doctorate in Physical Therapy at SUNY Stonybrook. Jeffrey has been practicing for 12 years and is also a member of the APTA and NSCA. John Catricala is a New York licensed physical therapist at Professional Physical Therapy. After graduating from L.I.U Brooklyn Campus with a bachelor’s in Sports Science and a master’s in Athletic Training, John went on to receive his doctorate in Physical Therapy at Dominican College. John has been practicing for 9 years. Robert Brennan is a New York licensed physical therapist at Professional Physical Therapy. After graduating from Long Island University with a Bachelors in Science, Robert went on to receive his master’s in Physical Therapy at Long Island University. 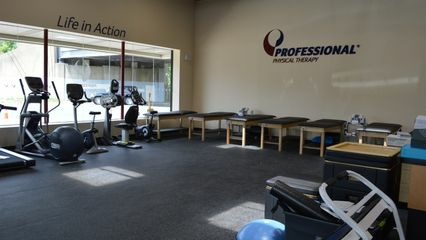 Robert has been practicing for 20 years and is also a member of the APTA.